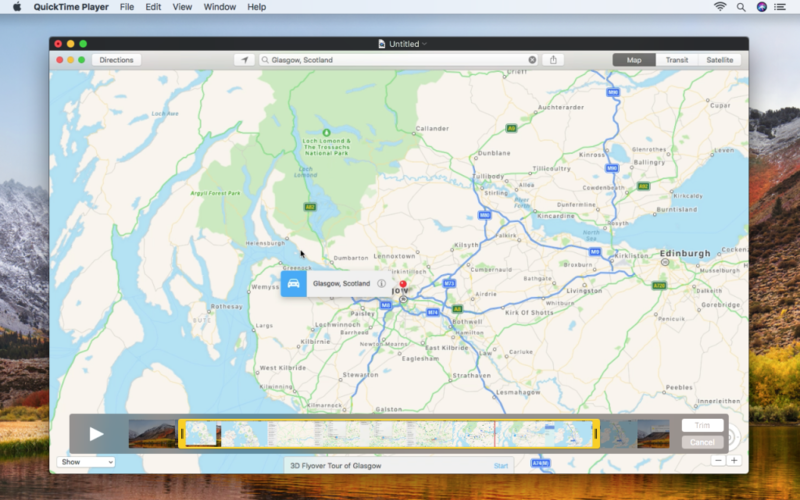 You may already shoot and share screenshots from your Mac. It’s a good way to send someone something cool, or ask for advice. But what happens when your problem’s too complex for a single still – or if something you’d like to share only looks good when it’s moving? Then it’s time to record some video! Whether you’re using a Mac, an Apple TV, or iOS devices, this article will explain how to record your computer screen. 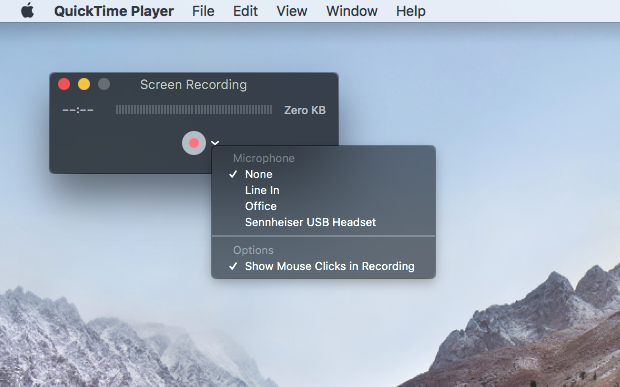 To get started recording your Mac’s screen, open QuickTime Player. Go to File > New Screen Recording. The Screen Recording window will appear. Click the downwards-facing arrow next to the record button and you’ll see configuration options. To add a voiceover, select a Microphone source. If you’d like the recorded video to show mouse clicks (which are displayed as a thick black circle around the pointer), turn that option on. Click the big record button. You can now click again to start recording, or drag an area to record only that part of the screen. In the latter case, click Start Recording when happy with your selection. Be mindful that protected video content will not record – you’ll just get black rectangles in those areas of the screen. 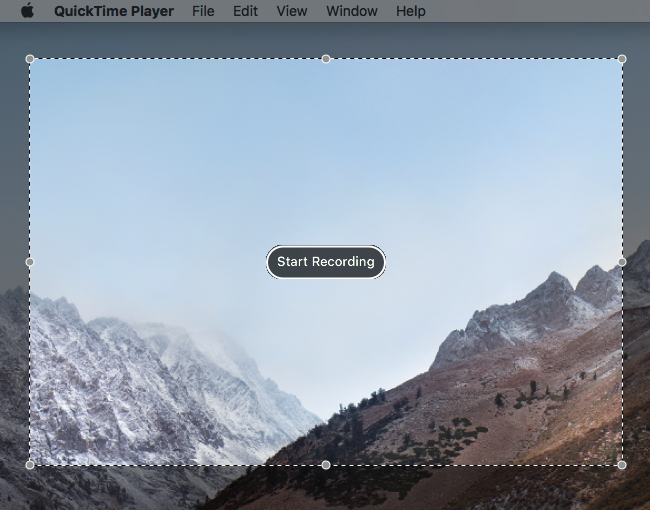 Once you’re done recording, click the record button in the menu bar. Your movie will open inside QuickTime Player. If certain you’ll never need the cut footage, go to File > Save (Command+S) to overwrite the original file; alternatively, duplicate your clip (File > Duplicate) and save the copy. Long movies and/or those from a high-resolution screen may be quite large. You can optionally use Export As… to save versions of your movie in formats with a lower resolution (useful if emailing them). However, if you’re uploading to YouTube, don’t reduce the quality of your footage beforehand, because the site will do that for you. The same goes if sharing them via iCloud. Recording video from an Apple TV isn’t entirely straightforward. Your Apple TV must still be outputting content via HDMI – either to a television, or by using a headless display emulator. And, again, protected video content will not be recorded and will appear as a black rectangle. 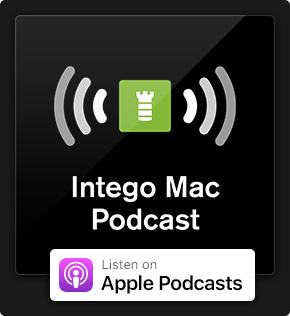 To record an Apple TV, you’ll also need to connect it to your Mac. The fourth-generation model can be connected using a USB-C cable. The Apple TV 4K lacks a USB-C port, and so you’ll need to pair your Apple TV and Mac, which must be on the same Wi-Fi network. 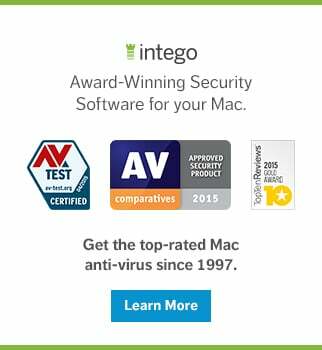 How you go about this depends on what version of macOS you’re running. On macOS Sierra, use Xcode (free on the Mac App Store) to pair the devices. Go to Window > Devices and Simulators. On the Apple TV 4K, open the Settings app and go to Remotes and Devices > Remote App and Devices. In Xcode, select your Apple TV and enter the pin that appears on the Apple TV. The devices should now be paired. In QuickTime Player, go to File > New Movie Recording. Click the downwards-facing arrow next to the record button and select your Apple TV from the Camera and Microphone options, and then choose a quality setting (High or Maximum). Note: selecting a camera and microphone source is also the way to go about recording from a Mac’s built-in camera, or other connected video/microphone sources when using QuickTime Player. 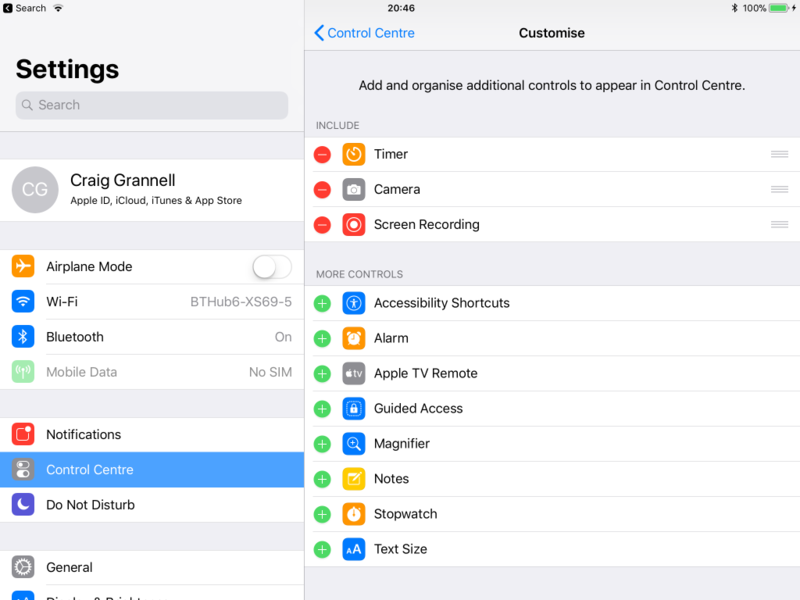 As of iOS 11, an iPhone or iPad can record its own screen without additional software. In the Settings app, go to Control Center > Customize Controls. Tap the + next to Screen Recording. When you next bring up Control Center by swiping from the bottom of the screen, you’ll see the screen recording button. Tap it and you’ll get a three-second countdown before the recording begins. When you’re done, tap the red bar at the top of the screen and then Stop, or press the button in Control Center a second time. Your video will be saved to Photos. With an iPhone or iPad running iOS 10, connect your device via USB to your Mac. 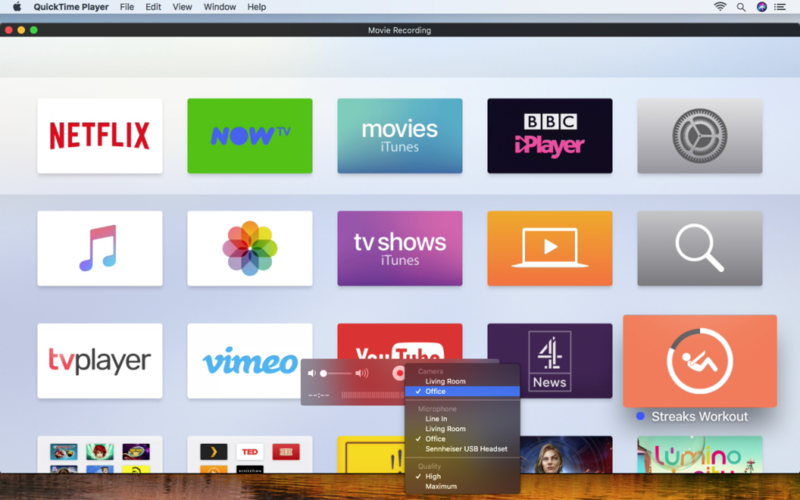 Then use the same process in QuickTime Player as when recording an Apple TV. This entry was posted in Apple, How To and tagged Apple TV, iPad, iPhone, Mac, Screen Recording. Bookmark the permalink. I followed all of the steps above for the ATV 4K, but it does not appear as a Camera option in QuickTime Player. I had to update Xcode to get the ATV paired, and I can take screenshots from the ATV now but I don’t see any way to update QuickTime Player, it is currently on version 10.4; may be the most recent but I couldn’t find that anywhere. If I connect my iPhone I can choose it as a camera and record from it; just cannot get the ATV as a Camera option. Any ideas anyone? Thank you for all your hard work making these tutorials. 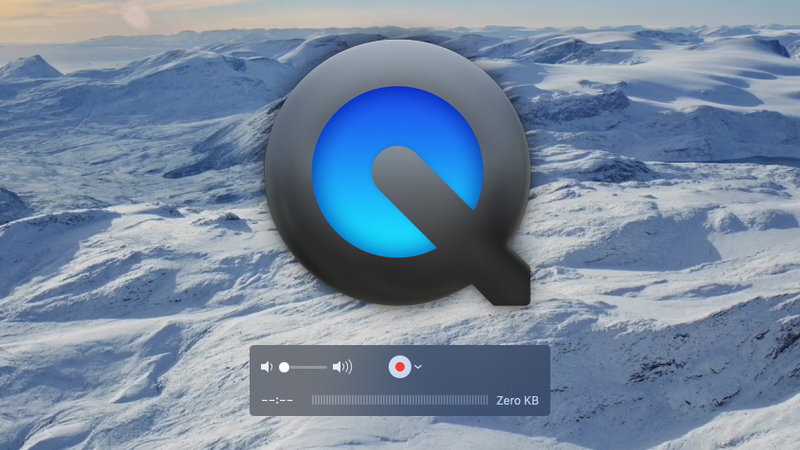 Yup, using QuickTime is the most convenient way to record streaming video on Mac since you are not required to install any programs. Besides, you can also use Acethinker Screen Recorder Online, I think it works better and features more than QuickTime, and it does not require any installation.